Organic Skincare There are 11 products. Cleanse and tone organic, vegan and cruelty free cleanser for normal / dry skins With Grapefruit, Lavender and frankincense. Cleanse and tone organic, vegan and cruelty free cleanser for normal / combination skins With lemongrass and bergamot. Hydrate and tone organic, vegan and cruelty free toner for normal / dry / sensitive skins With jasmine. Balance and tone organic, vegan and cruelty free toner for all / combination skins. With rose. 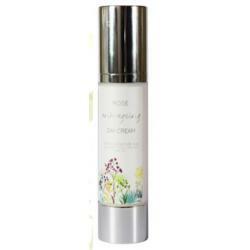 Anti-aging organic, vegan and cruelty free day cream for all / mature skins. With rose and SPF 25. Replenishing organic, vegan and cruelty free night cream for all / sensitive skins. With chamomile and jasmine.